Have you ever dreamed of taking a joy ride in a luxurious, high-speed car? Or does someone special to you have a passion for the open road? If so, this is the deal for you. Velocity Driving features a fleet of some of the most coveted autos around. 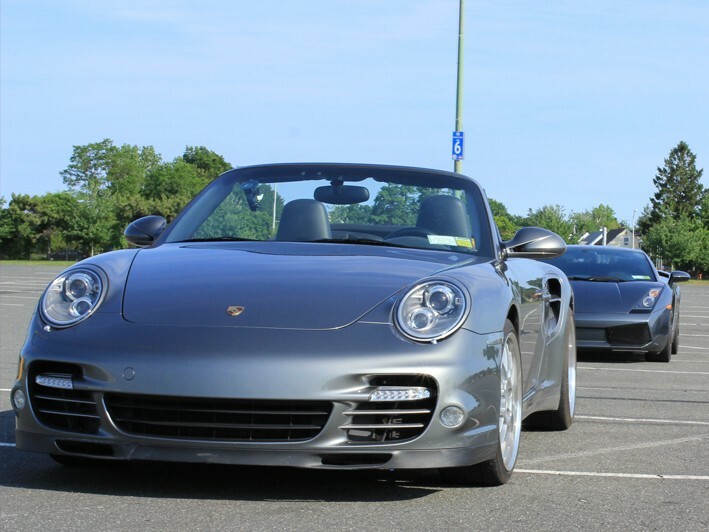 These high-performance vehicles are just waiting for you – or your favorite motorist – to embark on the spin of a lifetime at the Pennysaver Amphitheater (55 South Bicycle Path Selden, NY 11784). 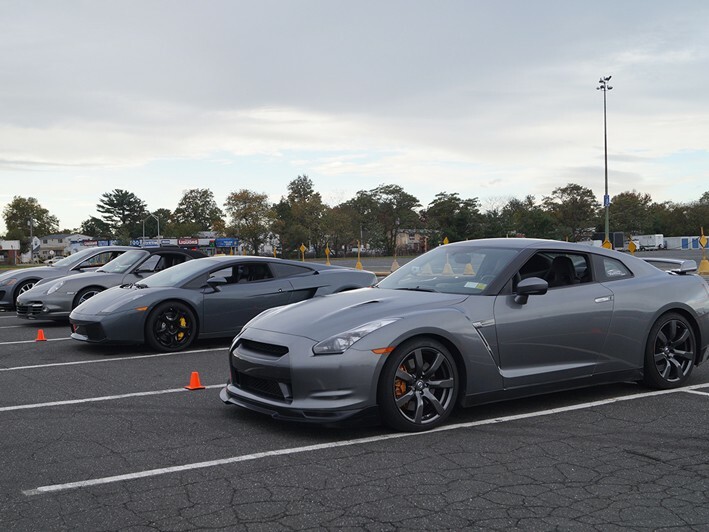 Drive your vehicle of choice for 4 exciting laps around our professionally-designed autocross course. Must be 18+ years of age with a valid drivers' license. 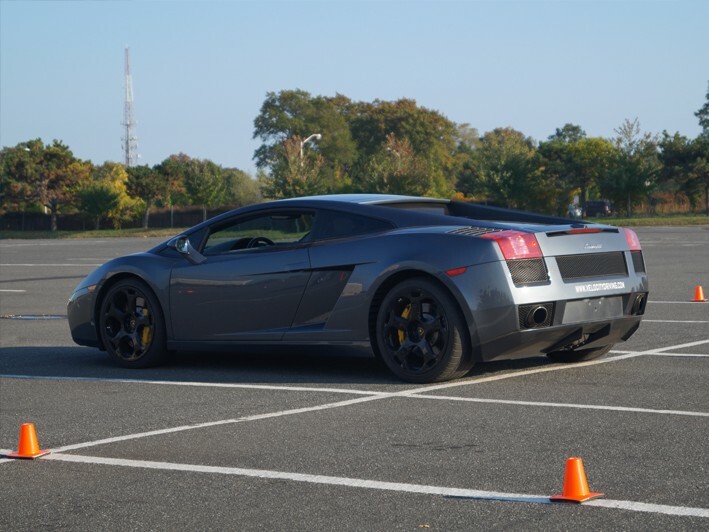 Get behind the wheel the worlds best supercars including, the Ferrari F430 Spider, Nissan GTR, Lamborghini Gallardo, Maserati GranTurismo, Porsche 911 Turbo S, and more for laps around a specifically-designed autocross racetrack, and explore what these amazing machines are all about. You will have an intructor in the passenger seat giving you pointers on how to get the most out of your experience. All vehicles have F1-style transmissions with paddle shifters, so no stick-shift experience is required! 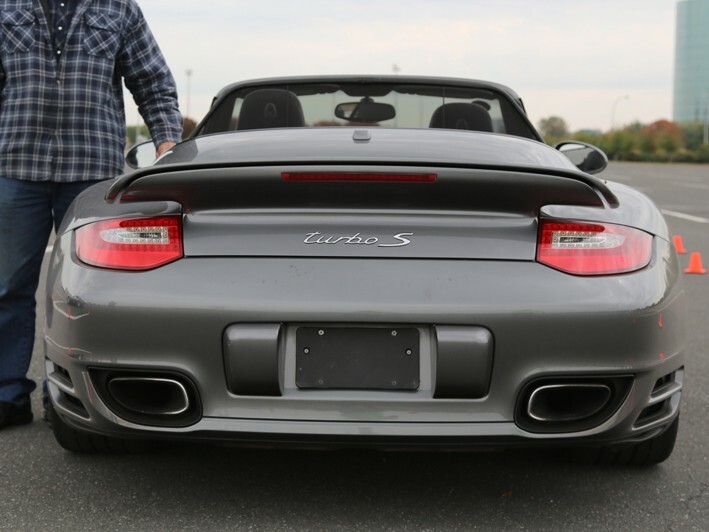 If you're at least 18 years of age and have a drivers' license, you can easily drive one of these high-performance machines in a day that all of your family and friends will envy. Fulfill your lifelong dream without doling out a ton of cash – make sure you get this smoking-hot deal before it races away. All participants must be 18 years of age and possess a valid drivers' license to get behind the wheel. Can I drive more than one car? Each voucher is good for one car. You may purchase additional laps and vouchers on event-day at a discounted rate if you'd like some more time in the cars, or want to try a different one. We supply free parking for all participnts and spectators. Once you arrive at the venue, there will be signs and flags directing you where to park and enter. Does the purchase price include all fees and taxes? There are no hidden fees with our events. In some states, you may be required to pay any applicable taxes that we are required to collect. This varies state by state, and county by county. If your state requires sales tax on event vouchers, the amount will be based on the cost of your original voucher that was purchased online for the event. For your convenience, we accept cash and credit/debit cards at the event for any applicable taxes. Some events may also offer an optional insurance package for the vehicle, which will cover any damages incurred during the time you are driving the vehicle. This is optional and not required in any way. We do however recommend that participants purchase the insurance to protect themselves in the event of an unfortunate mishap. If the optional insurance is declined, a waiver will need to be signed stating that the participant is liable for any damages caused to the vehicle. Our events are very safe, but accidents can occur. Should I bring any money with me? Aside from any applicable taxes or optional insurance stated above; we will have t-shirts, hats, and other apparel available for sale at the event. This is a great way to show-off your experience to everybody! If you'd like more laps in the car, or would like to drive another car, you pay purchase addtional event vouchers on-site at a discounted rate. We accept cash and credit/debit cards for all taxes, insurance, apparel, and merchandise at the event. Bring your friends, family, and a smile! Please do not bring pets. What should I wear to my event? Please wear comfortable clothing and closed-toe shoes. Driving with flip-flops or heels is not allowed, nor is driving barefoot. You may be required to wear a helmet, so be mindful of any hair-products. Can my friends/family take photos or video of my experience? Due to insurance reasons, only the participant is allowed past the gates to the vehicle area. We offer professional photos for $15, which are available to you via download on our website following the event. The photographer will take numerous photos of the car itself, of you in front of the car, and of you inside of the car. We also offer in-car HD video of your entire experience for $30. If you purchase the photo & video package, it is $40 combined. Where do I go once I arrive at the venue? Within the week before the event date, you will receive an email stating which parking lot section we are located in, which entrance to use, and a reminder on what to bring with you. Any questions can be answered by calling us at 631-488-0952 during office hours (M-TH 10am-5pm EST), or by emailing us at Info@VelocityDriving.com 24 hours a day. Yes, as long as the participant brings the unique voucher with them that was emailed when scheduling their event. You do not need to change the name on the reservation prior to the event. You do not need to bring your Living Huntington voucher with you. A refund may only be collected within 24 hours of your purchase. No refunds permitted on day of event. Once event date is scheduled, the voucher may not be exchanged or redeemed for any other dates. If an event is cancelled or postponed due to weather or other unforseen circumstances, you will be allowed to choose another date. The driving vouchers are fully transferrable. As long as the new attendee has your email confirmation with them, they can take your spot. Will all of these vehicles be available on the day of my event? Vehicle attendance is based on availability. We have four to five vehicles at our events. We do not guarantee that any specific vehicle will be at any event. This is because we cannot forseen any mechanical issues, or other issues that may occur anytime before the morning of the event. These are exotic cars, and not known for their reliability. Often, a vehicle will break-down during an event and not be able to be driven for the remainder of that weekend. No refunds or rescheduling will be issued if your vehicle of choice is not available. 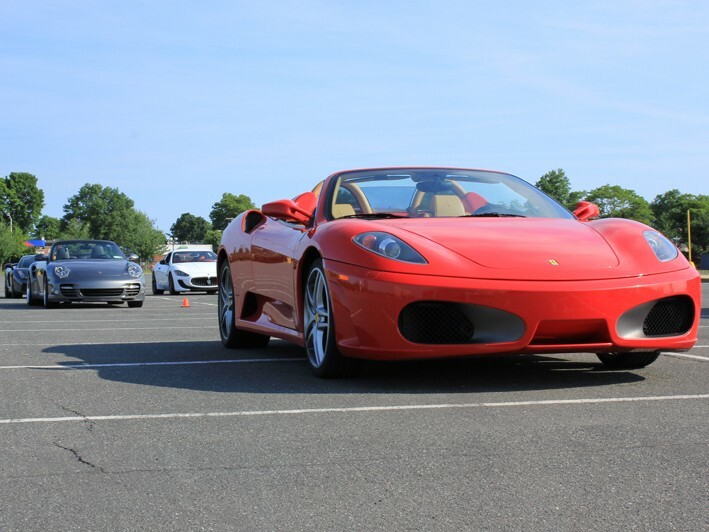 Velocity Driving offers once-in-a-lifetime events for driving enthusiasts of all kinds. • Click "schedule your drive"
• Choose your date and time from the drop-down menu, select the quantity to "1". • Click the Register button at the bottom. • It will then bring you to a new page where it will ask you for your contact information. • Once that page is submitted, the system will immediately send you a confirmation email.